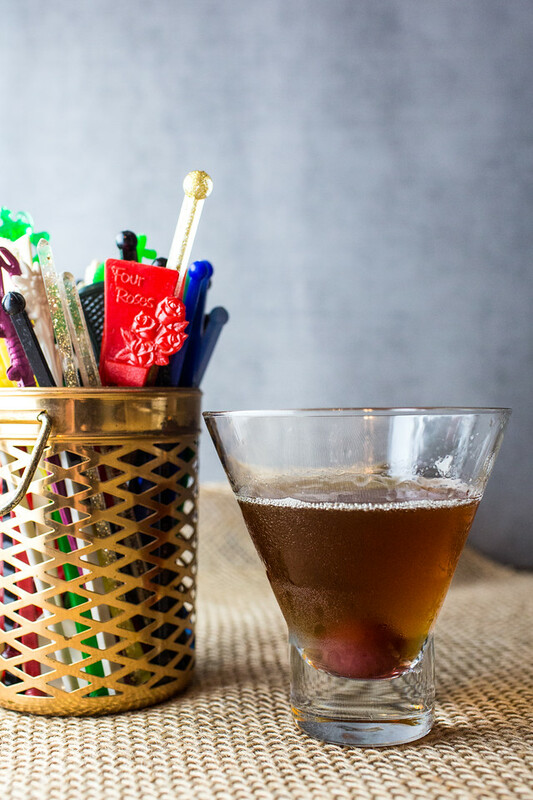 A Classic Manhattan gets a fall twist with a touch of sweet maple syrup. This Maple Manhattan will go on your favorite Bourbon Cocktails list and your favorite Fall Cocktails list! Click here to pin this Maple Manhattan now! I love simple cocktails, which is why I love a Manhattan. 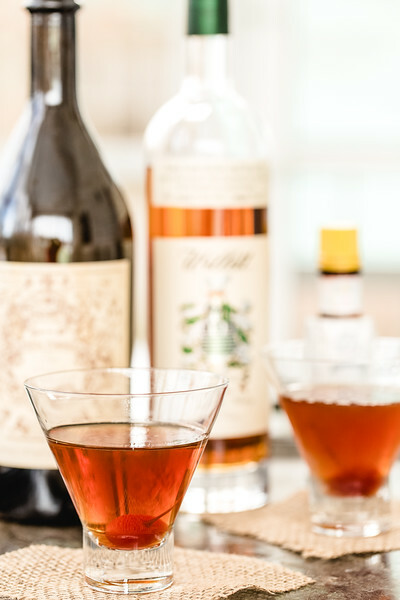 All you need for a classic Manhattan is whiskey, sweet vermouth, and bitters. When you have a simple cocktail like a Manhattan, it makes for easy additions. When I was looking to create some fall cocktails, I started with a Manhattan. The only question was which fall flavor to use? Pumpkins? Apples? Maple Syrup? Remembering this Bourbon Maple Grilled Acorn Squash recipe, maple syrup jumped to the front of the list! 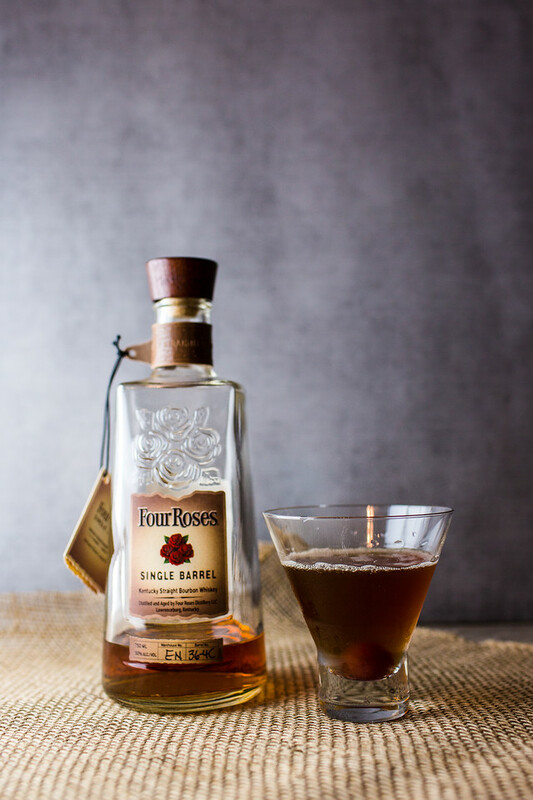 We decided to go for a classic with some good old school Four Roses Single Barrel Bourbon. In addition to it being one of my favorites, I also wanted to be able to show off my old swizzle stick with the Four Roses on it. Pretty cool! My grandmother had a pretty extensive bar, and all of these cocktails stirrers came from her collection. This Maple Manhattan is so easy to make! Add bourbon, vermouth, maple syrup and bitters. Instead of regular maraschino cherries, you might want to try these Bourbon Barrel Cherries! This was the perfect fall cocktail, so easy and the maple syrup gives a sweet fall twist. We will definitely be having this all fall long and winter too! 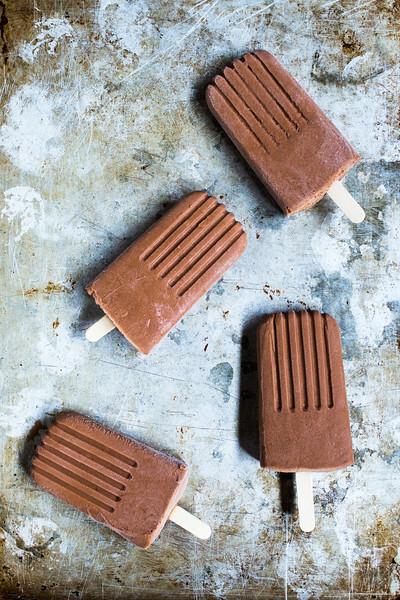 These Boozy Bourbon Cocoa Pops are so good, we eat them year round! You also love this simple Classic Manhattan! A classic Manhattan gets a fall twist some maple syrup in this Maple Manhattan. Add bourbon, vermouth, maple syrup and bitters to a cocktail shaker with ice. Shake for 15 seconds and strain into a chilled cocktail glass. Garnish with a cherry. Always one of my favorites. I actually found some bourbon barrel maple syrup (Maple Craft) at a local store which really amped up the taste! I prefer to stir my Manhattans and not shake them, but to each their own. Cheers! Oh, I need to find that bourbon! Add a couple dashes of walnut bitters! Bourbon is one of my favorites. Perfect for these cold fall and winter days. This cocktail looks so good and tasty. The flavor combination with maple is amazing! I love the addition of Maple Syrup. I never knew it is so easy to make Manhattan. What a perfect cocktail for all fall celebrations. Easy cocktails are the best! I love the addition of maple syrup – it’s one of my favorite sweeteners all around, and sounds so cozy and warm as a complement to traditional Manhattan flavors! It is so good, I love maple syrup too! Perfect drink for this time of the year. I bet the maple must enhance the flavors. Such a great idea! I love maple syrup, and I bet it gives this drink the best flavor. It does, it adds just the right amount of sweetness and fall flavor! My father-in-love had a Manhattan every day. I wonder if he would have liked the addition of maple! He would have tried it, I’m sure. My Granny added bourbon to a lot of holiday recipes. It would be perfect by the fire! Manhattan is my drink when the weather turns chilly. Still waiting. But to add to that maple syrup? Yes. now. I love a good Manhattan, and this is such a delicious way to make it even better, Pam! Pinning and tweeting. Thank you so much for your support of the Hearth and Soul Link party. I enjoy a Manhattan but confess o never having one with maple syrup. It’s looks delicious and comforting. You wicked woman. I’m going out for cocktails next week with the girls and shall insist the barman make me one of these.